Home 2017 June 5 Is College a Burden? If the cost of college changes, we think that many people will be able to follow their dreams and the world would become better place. All of the struggle one must go through only to get an education, could go away, suggesting that free college would solve these problems. We care about free college education because college is in our near future and we want to live a stress free college life when it comes to tuition. This topic is extremely important today because college tuition is outrageously high and is increasingly getting larger every year. If the cost of college wasn’t so high more people would attend college and follow their dreams to achieve their ultimate career goals. We would like know if the government is going try to do something about the cost of college or if institutions are trying out ways to decrease the prices. We found out on US News.com that two liberal arts colleges have decided to cut their prices in half for incoming freshman which we think it is a good start to decreasing the cost of college. It is extremely difficult for people to pay the for cost of college because teens do not have jobs that give them enough money to accumulate to pay tuition. Another thing is some families are able to sustain life at home but are not ready to just lay down thousands of dollars on college tuition. We think undergraduate degrees should be free because people wouldn’t have to worry about debt, loans or even scholarships. We believe that graduate degrees should cost since you are trying to specialize in a certain area but undergraduate degrees should definitely be free. College should be free in America, for reasons that essentially helps the new generation go on it’s way to become properly educated adults. For kids who work harder than anyone else and try their best can’t go to college because of the cost shouldn’t be the rules in America. 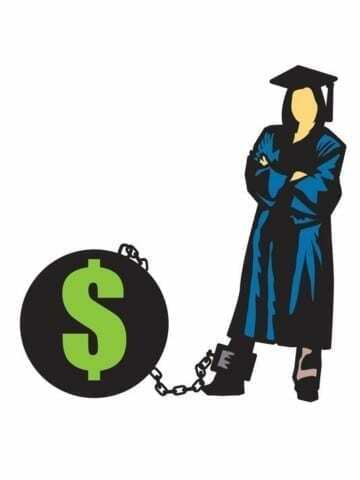 Journalist, Kenneth Warren from the article, Why college should be free–for rich and poor alike’ from the The Chronicle of Higher Education, argues that, “public-college education now accounts for almost 15 percent of the average family’s annual income” (Warren). Imagine a single parent, with a low wage job, is struggling to afford for herself and three kids. How would they be able to get them into college if it cost is more than she can afford? For student’s who try working their last years in school to save up, “today, it would take a minimum wage worker an entire year to earn enough to cover the annual in-state tuition at a public university. And that’s why so many bright young people don’t go to college, don’t finish or graduate deeply in debt.” Says Bernie Sanders from the Washington Post. However, in other countries, students don’t have to face this problem. In Finland, Denmark, Ireland, Iceland, Norway, Sweden and Mexico, universities and public colleges are tuition-free. Colleges are free throughout Germany too, and not just for Germans or Europeans but for international citizens as well. (Sanders). For many young adults and kids who grow up in environments that prevents them from going to better schools from their families pay rate, might not be able to make their way to their favor of college. For families who can’t help afford for colleges at all, leaving the students to try and pay on their own. If there were free college, but with the standards of education they would need, students would be getting the higher level of education they deserve. The percentage of students leaving with huge debt of student loans is increasing as the years go on, causing students to struggle under all that weight and that’s affecting young. Many americans owe over $1.4 trillion in student loan debt, among about 44 million.According to U.S. News, “Colleges might have lower average debt levels because they enroll fewer students with the financial need to take out loans.” This is just wrong to students because in High School who has a job that pays you more than maybe 1,000 a year. I don’t understand how colleges think people right out of high school can pay these costs. Parents should have to just lay down money on their kids college education. If college was free then everyone would have a better chance at reaching their dreams and living life without the worry that their tuition might not get paid. cruel.Denver Post [Denver, CO] 20 Mar. 2016: 6D. General OneFile. Web. 8 May 2016. Is College a Burden? by Mary is licensed under a Creative Commons Attribution-ShareAlike 4.0 International License.